THE KINGS OF MAGIC BRING THEIR SPECTACULAR VEGAS SHOW TO THE UK. These shows will feature Penn & Teller’s classic magic tricks performed live amid their unique brand of humour and audience participation and will feature never before seen tricks in the UK. No show will be the same. You never know what will happen!!!. For over 40 years as magic’s most outrageous and innovative team, Penn & Teller are Emmy award-winning TV stars, best-selling authors and Las Vegas icons. 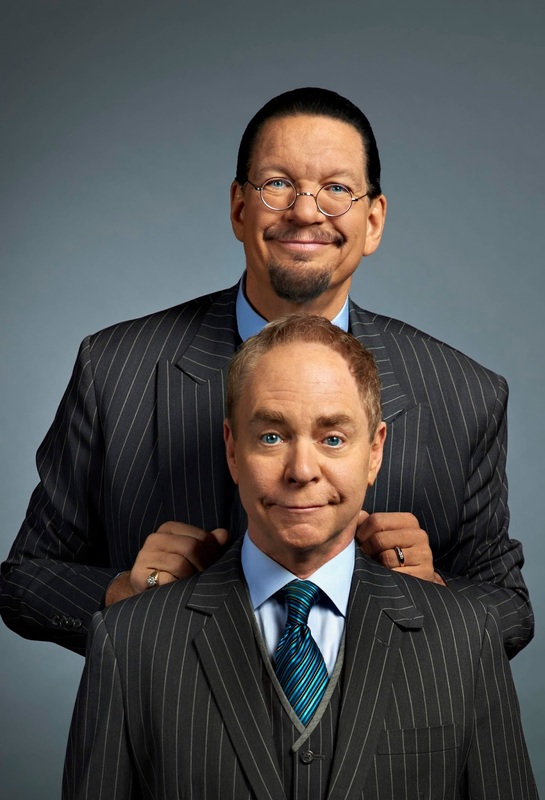 Their Showtime series, “Penn & Teller: BS!” was nominated for 16 Emmys. Their recent ventures were the highly successful ITV's "Penn & Teller Fool Us!" hosted by Jonathan Ross on Saturday nights and “Penn & Teller Tell A Lie” for Discovery Channel and Channel 5’s current ‘Fool Us in Vegas’ TV show. For years Penn & Teller have defied labels – and at times physics and good taste – by redefining the genre of magic and inventing their own very distinct niche in comedy. With sold out runs on Broadway, world tours, Emmy-winning TV specials and hundreds of outrageous appearances on everything from ‘The Royal Variety Performance’ to ‘Friends’ ‘Modern Family’ to ‘The Simpsons’, contemporary comedy’s only team show no signs of slowing down. With an amazing eight wins as ‘Las Vegas Magicians of the Year,’ their 15-year run at The Rio All-Suite Hotel & Casino makes them the of the longest running and one of the most-beloved shows in Las Vegas history, outselling every other resident magician on The Strip and earning them the accolade of ‘The single best show in Vegas’ by the Los Angeles Times. Penn & Teller triumphantly returned to Broadway this past summer in a smash six-week long engagement that USA Today called, “Deliciously unsettling.” It was the highest-grossing non-musical on Broadway for its entire run. Don’t miss your chance to see the funniest and most unique magicians in the world in this new and never seen in the UK show.